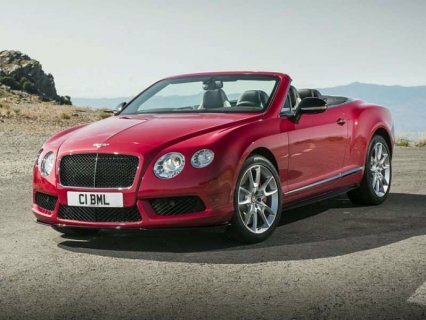 Highly celebrated objects of the automotive marketplace, the most luxurious cars serve a very important function- beyond being mere status symbols. With their "cost is no object" nature, they reside at the center of where new technologies are introduced. Features like voice activation, Bluetooth, and the GPS navigation system in your Volkswagen Beetle debuted in luxury cars. In other words, these models show us what’s possible. Among the last bastions of hand craftsmanship in the automotive arena, ultra luxury cars are also built to a remarkably high standard. While few can afford the prices these cars command, everyone appreciates what they represent. Freshly redesigned for the 2014 model year, the four-door Aston Martin comes to market with even more speed, beauty, and grace. It also delivers a level of handcrafted luxury few other cars (read cars not on this list) can approach. Consider this; the grille of the Aston Martin Rapide S is honed from a single piece of aluminum—by hand. Similarly, the interior is entirely crafted and installed by hand, employing only the finest materials imaginable. The hand assembled V12 engine displaces 6.0-liters, produces 550 horsepower, 457 ft-lbs of torque, and a delightfully scintillating top speed of 203 mph. A rolling paragon of technological achievement, the body of Audi’s all-wheel drive flagship is crafted of aluminum—as is its space frame. The first automobile to be so constructed, it introduced the world to the lightweight luxury car. The body is the only thing about it rightly considered “a lightweight” though. The Audi’s sumptuous interior is the envy of the automotive world. Further, the A8 can serve as a WiFi hotspot. Old-world luxury combined with cutting edge technology makes Audi’s A8 L W12 a singularly distinctive automobile. Its 6.3-liter 12-cylinder engine produces 500 horsepower and 463 ft-lbs of torque. Large in size, understated otherwise, the BMW flagship is spacious, elegant, and insanely fast. But that’s just a minor aspect of what the car is all about. Night vision, soft-closing doors, smart cruise control, side view cameras, iDrive, handwriting recognition, if you’re looking for tech, you’ll find more than enough here. But that doesn’t really capture the essence of the BMW 760Li either. Here’s the thing, the BMW is so good at everything, it comes across as a non-event—even while performing absolutely extraordinary feats. The BMW’s 6.0-liter twin turbocharged V12 produces 535 horsepower and 550 ft-lbs of torque.